Is Tina/Artie your favori couple on gLee? Anyone else's cœur, coeur leap for joy when Tina whispered Artie's name with that huge smile on her face when he was walking? Who's your favori Artie/... couple ? 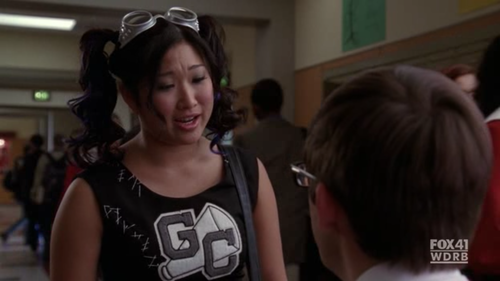 A spot for Tina, as played par Jenna Ushkowitz! a comment was made to the poll: Is Tina/Artie your favori couple on gLee? a comment was made to the poll: Whom do toi like better? What does Artie say that Tina looks like in this photo?